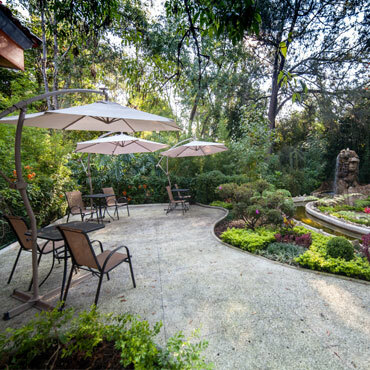 Located in the South Garden of the hotel, the gazebo is surrounded by trees, plants, flowers and a creek amongst a 3 acre sprawling part of our gardens. 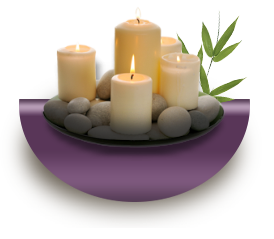 Zen is defined as enlightenment through meditation and contemplation. Most oriental philosophies have a similar principle in this spiritual discipline. 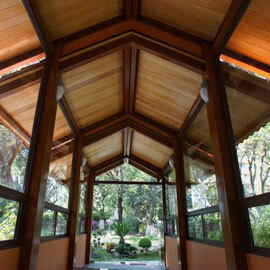 All yoga, spirituality and meditation sessions for our spa guests are held at the gazebo. Balance is paramount in all practices of spirituality. 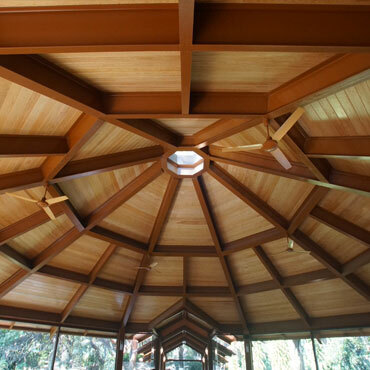 The octagonal gazebo is mirrored in its 360 degree panoramic windows and the ceiling with the floor, using only natural elements in its construction. 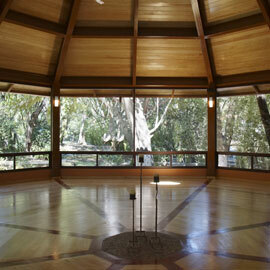 A unique feature is the 23 feet high top crystal pyramid, countered by an octagonal river-stone center of the hardwood floor, an inspirational source of energy. TAIJI (Oriental Philoshophy) Meaning “Supreme Ultimate”. 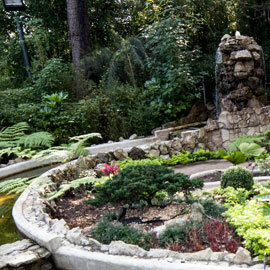 Reserva Taiji is a garden with cascades, stream, fishpond, bridges, terrace, sand path and aditionally profuse vegetation, near the Gazebo Zen. Balances of Yin & Yang influence the concept. Secluded in a 4000 sq. 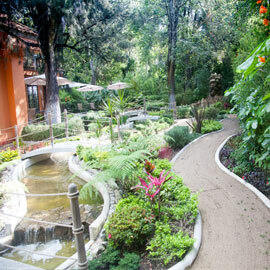 ft. area within the resort. 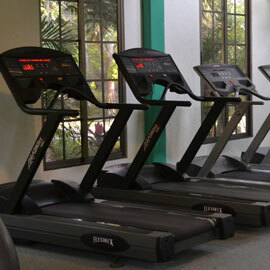 Our Fitness Center is located next to the tennis courts. 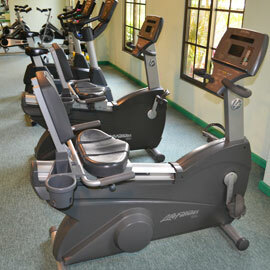 Guests can enjoy the fully equipped facility to keep fit and moving. 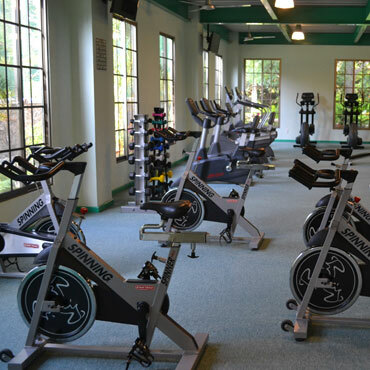 The Fitness Center provides large areas to make you feel comfortable and relaxed in your fitness session. Pilates, Aerobics, Zumba, Spinning and Tai chi lessons are offered on the second floor.